Brian Walters SC is a prominent Melbourne barrister, Senior Counsel, and human rights advocate. 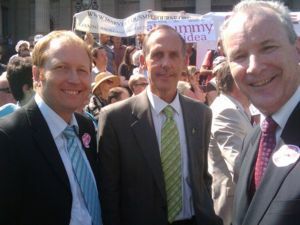 Brian is the Greens candidate for the State seat of Melbourne in the 2010 Victoria State election. Brian Walters was born on 17 June 1954, the third of four sons born to Neville and Jean Walters. He was educated at Blackburn State School, Carey Baptist Grammar School, and Monash University (BA/LL.B). Walters travelled to and from Monash University with Tim and Peter Costello, and shared with them an involvement in the Monash Evangelical Union. At Monash he received the Monash University Poetry Prize in 1972 for his poem "This Poem" and the Sir Charles Lowe prize for "Moot Court". It was after winning the prize for Moot Court that one of his friends said "I suppose you'll be a barrister" and Walters first seriously considered this career. After completing articles at Melbourne's McCracken and McCracken, Walters practised as a solicitor with the large country law firm, Warren Graham & Murphy, based in Bairnsdale. One of his major clients there was the Australian Timber Workers Union (now the Forestry Division of the CFMEU). A keen bushwalker and cross country skier, in 1980, whilst skiing on the Bogong High Plains with his friend Michael Collie, Walters met Chris Baxter. Together, the three men founded Wild - Australia's wilderness adventure magazine. Much of the magazine's values and approach was workshopped in Walters' Bairnsdale lounge room over a creative and intensive week. Walters remained a director of that business for 25 years. The business won the Victorian Government Small Business Award in 1993. Walters regularly contributes to the magazine and remains a consultant for Wild Magazine. In 1982 Walters returned to Melbourne and signed the roll of counsel at the Victorian Bar. At the end of 1982 and into 1983 Walters rafted down the Franklin River to join the Franklin Blockade. He had been involved in the campaign to save the Franklin for some years. Walters married Sally Polmear (daughter of Professor Ian Polmear and Valerie Polmear) on 21 December 1985. They met at the theatre, and shared interests in bushwalking and the environment. They have two children, Rachel (born 1990) and Georgia (born 1992). In 1987 Walters made his first foray into the High Court, successfully appealing in the matter of the Queen v Prideaux (Prideaux v Director of Public Prosecutions  HCA 51; (1987) 163 CLR 483 (15 October 1987)). In 1988 Walters travelled, during which time he lived in Guatemala for six months. In 1991, when the first Gulf War erupted, Walters became the convener of "Legal workers Against War" ("LAW"). In 1993 Walters was a founding member of the Greens in Victoria. In 1994 Walters convened "Wild Forests 94" which took Professor David Bellamy, a group of experts and a large press contingent into East Gippsland's forests to see, amongst other things, the "Touchwood Tree" – the largest-girthed tree then found in East Gippsland. The tree was in the Ellery Creek catchment and due to be logged, but that catchment was subsequently added to the Errinundra National Park. In the mid 1990s Walters and his family began a regular family tradition – camping at Easter at the Snowy River, and more recently, the Mitchell River, with a group of families who are close friends. In 1999 Walters advised Alan Gray of Earth Garden magazine in relation to the book "Forest Friendly Building Timbers" when the National Association of Forest Industries threatened to sue because it criticised logging practices. Subsequently he joined the committee of Free Speech Victoria and became its Vice President and Spokesperson. Walters took silk in 2001: the post-nominal "SC" stands for "Senior Counsel". 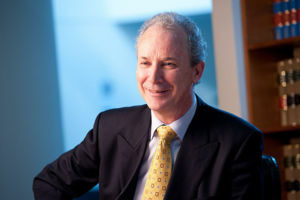 Walters joined the committee of Liberty Victoria in 2001 and served as Vice President from 2002 to 2004 and president from 2004 to 2006, when he was succeeded by Julian Burnside QC. Walters is currently on the executive as immediate past president. During his term as president Walters actively campaigned by way of writing, speaking, lobbying and media interviews on issues such as the terror laws, the treatment of Jack Thomas and David Hicks, the proposal to introduce an identity card in Australia, the mandatory detention of asylum seekers, as well as police shootings and corruption. In 2001 Liberty took proceedings in the Federal Court on behalf of asylum seekers held on board the MV Tampa. In 2003-4 Walters went with his family to India and Nepal, during which time he met the major Tibetan Buddhist leaders, including the Dalai Lama. In 2007 Walters commissioned composer Hugh Crosthwaite to write a string quartet entitled "Spirit Journey" - a surprise birthday gift for his wife Sally Polmear. In 2007 Walters was appointed president of Protectors of Public Lands Inc – an umbrella group of over 80 environment, heritage and community groups dedicated to protecting and conserving lands and historic sites in the public domain. In 2008 Walters was a consultant for the documentary film entitled "The Trial". appeared in several royal commissions and inquiries including acting for the CFA in the 1998 Esso Longford gas explosion Royal Commission, and for the head of the Department of Human Services in the MAS Royal Commission. Walters co-ordinated the submission to the UN's Human Rights Committee on behalf of Stefan Nystrom - a man who came to Australia at a few weeks of age but was deported to Sweden - where he does not speak the language and knows no-one - after he had served terms of imprisonment in Australia . Walters has advised and appeared in numerous human rights and environmental cases. Brian talking at the Feast for Forests fundraising dinner, 29 August 2010. Brian explaining why the CPRS was worse than nothing at a coal protest action. Slapping on the Writs: Defamation, Developers and Community Activism, Brian Walters. University of South Wales Press, 2003. ISBN 0-86840-463-2. Perspective. Notes about a short radio talk given by Walters on Australian radio on the subject of "Slapping on the Writs". Attribution: This page includes content from Brian Walters, which is licensed under CC-BY-SA. The original content was downloaded from the Wikipedia: 30 August 2010. This page was last modified 02:23, 16 September 2010.